The Insurance industry faces an age of disruption, with ever more demanding customers, new competitors and changing technologies. As companies accelerate their digital transformation, creating a customer-centric approach to engage customers is a key pillar. So what is the role of AI in optimizing customer journeys to improve customer experiences and grow sales. 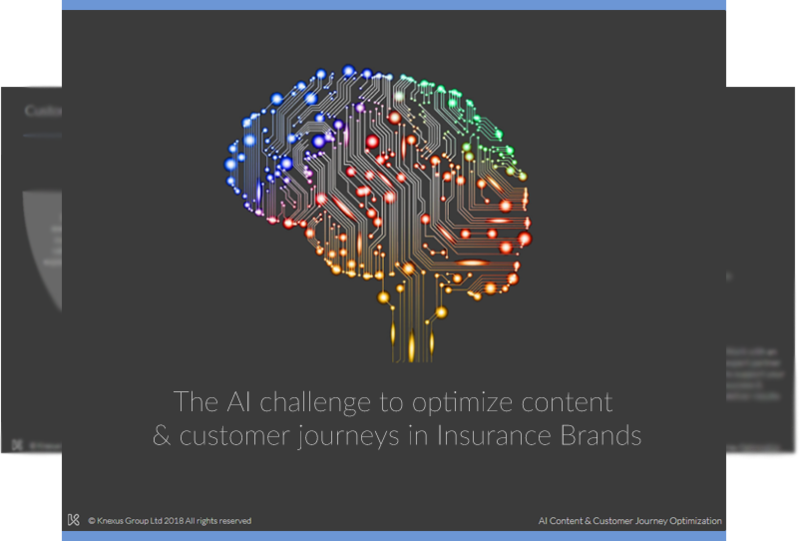 Knexus, the AI optimized customer journey specialists, are delivering exclusive, private briefings for leading financial services firms such as AXA, Bank of New York and UBS. The briefing addresses topics including..